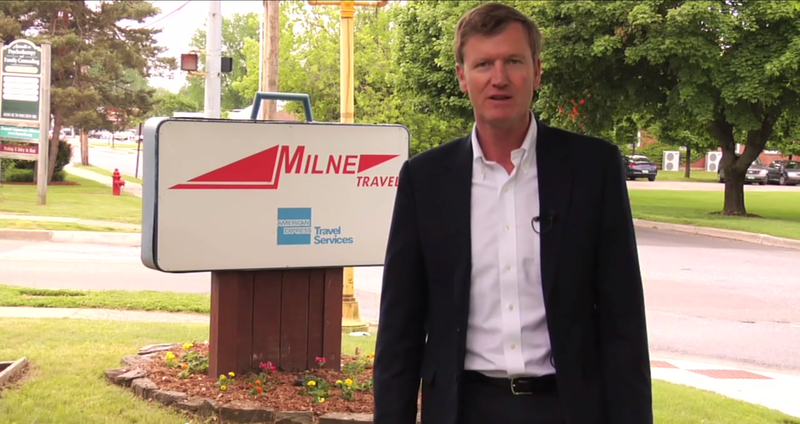 The president of Barre-based Milne Travel says he's considering challenging Gov. Peter Shumlin this fall. "I am thinking seriously of a run but will not decide until filing deadline," Scott Milne told Seven Days in an emailed statement. Milne said he wasn't available for an interview because he's traveling in North Africa, "and cell [service] isn't great — kind of like Vermont, but worse." The news was first reported Monday morning by WCAX-TV. The Pomfret resident comes from a long line of political players. Both parents, Donald and Marion, served in the Vermont House; Donald remains clerk of the House. Grandfather Henry Milne also served in the legislature and as an aide to former senator and governor George Aiken, according to a profile in Business People-Vermont. Milne is just the latest in a series of potential candidates who've flirted with a run against Shumlin. Among those who still haven't ruled one out are Rep. Heidi Scheuermann (R-Stowe), former state auditor and senator Randy Brock and retired Wall Street executive Bruce Lisman. The only declared candidate for the Republican nomination, thus far, is Emily Peyton of Putney.